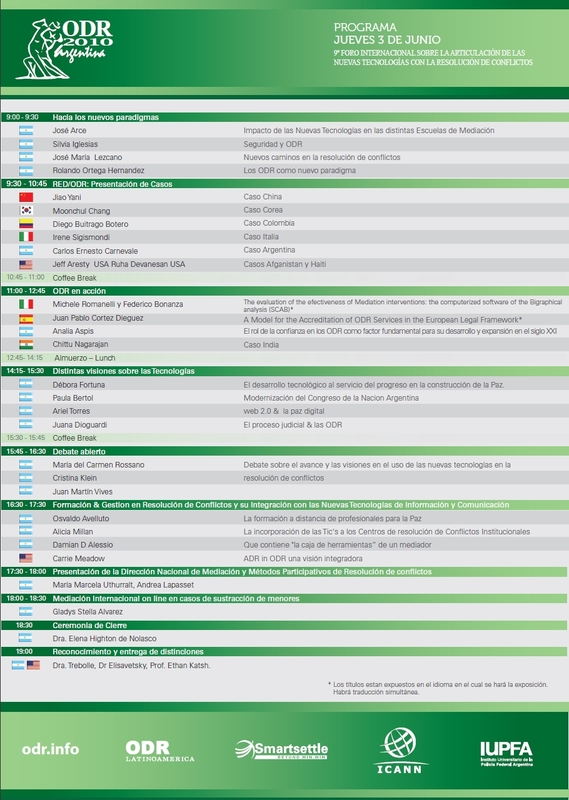 The 2010 International ODR Forum will be held in Buenos Aires on June 2-3, 2010. 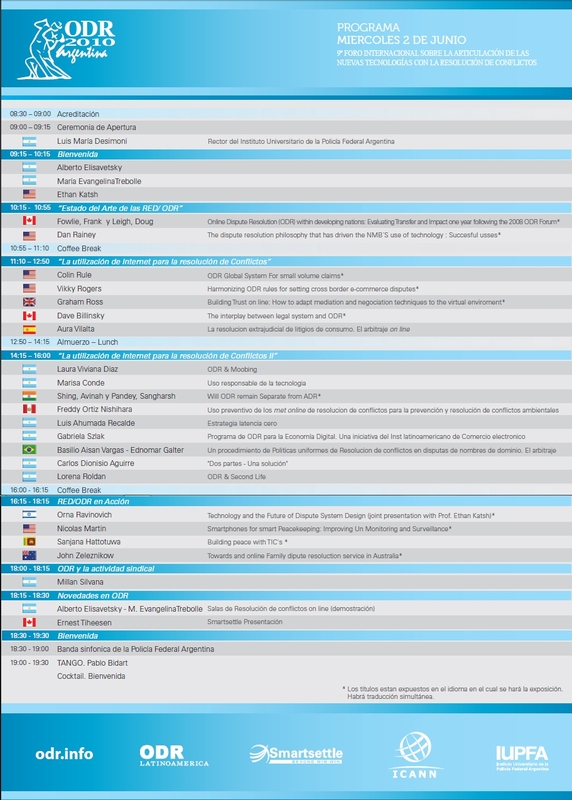 This is the first ODR Foum to be held in South America and information about registration, the program and other details is available at http://www.odr2010.com.ar/ Please direct any questions to Ethan Katsh or Alberto Elisavetsky This is the 9th Internation ODR Forum. ORGANIZADORES, SPONSORS, AUSPICIANTES ACADEMICOS & ADHERENTES AL 9° CONGRESO MUNDIAL DE ONLINE DISPUTE RESOLUTION/ RESOLUCIÓN ELECTRÓNICA DE DISPUTAS.